The Ice Age exhibition – a massive 3 000m2 display of 45 life-sized moving animals and 12 different scenes that document the 27th Ice Age period – will take place at Sandton Convention Centre from 20 June to 8 August this year, following the venue’s phenomenally successful and world-renowned Days of the Dinosaur exhibition in July 2014. The last Ice Age occurred approximately 20 000 years ago when the world was on average 5°C colder and in some areas as much as 22 °C colder than it is today. 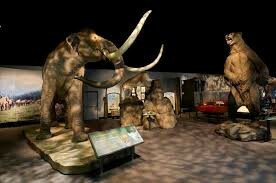 Beukes says that each part of this Ice Age exhibition has been carefully designed to show audiences a fascinating part of earth’s history. It also features a description of each animal along with an explanation of their habits, the environment in which they lived, and how their remains were discovered. 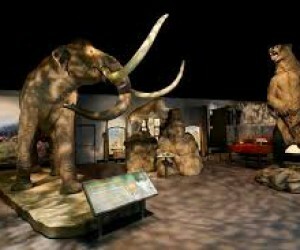 Other features of this display include a virtual aquarium, where visitors will feel immersed in a large, digitally simulated tank with two prehistoric cetacean species, as well as activities for children including drawing tables, a sandbox resembling a place where palaeontologists discover fossil remains, interaction with scale models of some of the animals, and an interactive games zone.